Despite the early start to the 2017/18 winter season and the continuously good snow conditions, we cannot be certain that this winter will be so obliging! Therefore, this coming early-winter we are basing our ski-tours again at a high altitude where excellent food and accommodation is also available and for this reason the Passeier valley is the ideal setting. 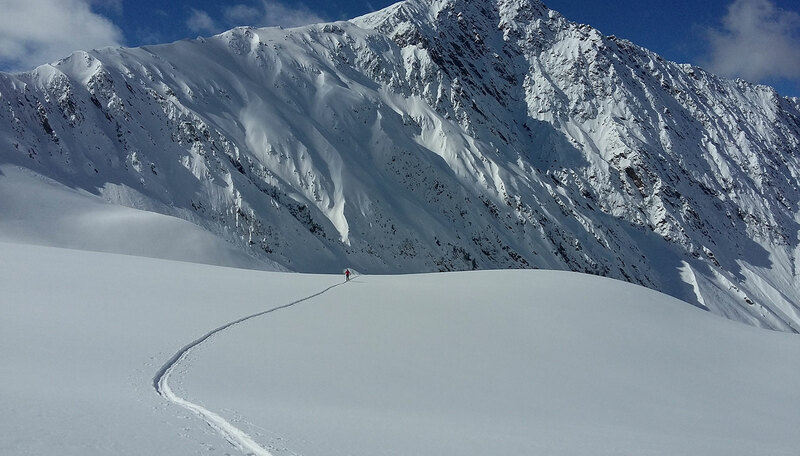 By setting off during the day from a comfortable house at the rear of the Passeier valley, we immediately immerse ourselves in the amazing powder-snow world of the Texel group of the southern Ötztal and Stubai Alps. There are tours to suit all weather and snow conditions, and whoever fancies tackling a climb or two after a tour, then the climbing hall in St. Leonhard’s is the ideal place for you. In contrast, however, a sauna and peaceful setting can always be found at our lodgings.